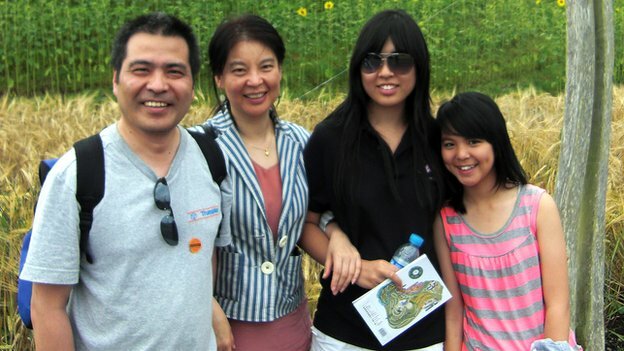 On 27th November 2013 Anxiang Du (after a surprisingly short trial) was convicted of the murders of the Ding family. The facts are quite horrible – Mr Du had been involved in a protracted legal battle with Mr Ding that he had lost, leaving him with a legal bill of £88,000 and a burning sense of grievance. On 29th April 2011, the day after he received an injunction relating to the legal dispute, Mr Du went to the Ding family home to ask Mr Ding for money ‘When [Mr Ding] refused, Du stabbed him 23 times, his wife 13 times, Xing 11 times, and Alice four times.‘. After (somewhat bizarrely) sleeping in the house that night, Mr Du stole their car and drove to London, before fleeing the UK. He was arrested in Morocco last year and extradited. At the trial Mr Du accepted carrying out the killings, but denied being guilty of murder on the basis of loss of control and/or diminished responsibility. The jury rejected both claims and convicted Mr Du. Sentence has been adjourned until tomorrow. Mr Du will be sentenced to life imprisonment as that is mandatory for the crime of murder. The Judge will have to set a ‘tariff’ – the period of time that Mr Du will have to spend in prison before he can be considered for release. The link above gives more details as to how the Judge will approach this. Mr Du is in line for a ‘whole life’ tariff on the basis that it is the murder of ‘two or more people’ that potentially involved ‘a substantial degree of premeditation or planning‘ as well as ‘sadistic conduct‘ (the repeated stabbing). Without hearing the evidence it is difficult to say how much planning there was. I would imagine that it is stretching it to call is sadistic (barbaric perhaps, but not sadistic). On the facts in the news reports we would suggest that the starting point is 30 years, but it would be aggravated by the number of people killed and the manner of the deaths, This would give a starting point higher than 30 years – probably 40 years being the appropriate sentence. Whether he gets a whole life tariff or 35, or 40 years, it’s all pretty academic. Mr Du is 54 and will almost certainly die in prison whether it is mandated by a whole life tariff not. This entry was posted in In the news on 27/11/2013 by Dan Bunting.